Owning up to a mistake can create massive personal growth for those who admit it. Today, you will discover how Bennie and Devin correct themselves when outed as purveyors of FAKE NEWS! 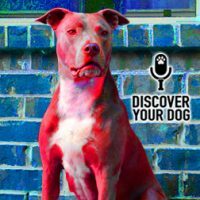 In this episode, you will learn some amazing information about pit bulls that may change your perception. Be careful! 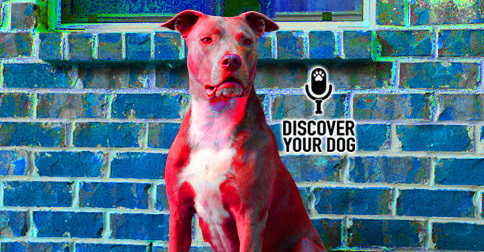 Today’s guest: Gabrielle, from Richmond, VA works for K9 Adventure and is an American Pit bull advocate and volunteer for Gracie’s Guardians. Bennie asked Gabrielle: What is the one thing that you would like people to know? Anytime that we see these “dogs gone wrong” tag line in the media, the odds are that it is not the dog itself but more a human problem. The issue isn’t with the dog or any specific type of dog; the issue is irresponsible owners. They are not giving them the confidence, socialization, exercise, etc. that they need. If we want fewer dog bites and over-population issues we need to focus on the humans. The phrase “Pit Bull” has become a descriptor of dog instead of an actual breed—such as any dog with a blocky head, brindle coat, etc. Majority of the dogs in the shelters are Pit Bulls and are the first to be put down. Since the 1970’s, when dog fighting hit the mainstream on the media is when they received the tag name as fighting dogs. There are still some genetic tendencies that affect the dog such as high anxiety can be an issue for a dog if the mother was under stress when pregnant or dogs having hip dysplasia. The guy who brought the American Pit Bull terrier over to N.Y bred them as fighting dogs and then realized they made great family dogs. He would pick dogs out of the same litter and advertise some as “nanny” dogs and others as fighting dogs. Dogs who worked as fight dogs have been rescued and live alongside humans, children, other animals and live a happy life without showing/having issues with aggression. There are still breed-specific characteristics and they will have their own personalities. Breed-specific legislation for Devin reminds him of institutionalized racism. This type of legislation doesn’t make the owners take more responsibility. Instead the legislation is clumping breeds together and labeling them, making the situation worse. Gabrielle believes that education is going to be key and that those who are supporters of breed-specific legislation may be misinformed. The reason they make good fighting dogs is because of their tenacity and loyalty, which are also inherently positive characteristics. However, the media are spinning these qualities to be negative. Pit Bull Initiative of Richmond Animal League. The name comes from one of the dogs seized from Michael Vick’s dog fighting ring. She went on to be adopted by an older family who had children, cats and other dogs. Gracie’s has an outreach program where they drive around and help people with their needs for their animals, coupons for free spay and neuter.